St. Patrick’s Day is a time that the whole world celebrates what it means to be Irish. Birmingham is no different, with the annual parade bringing thousands to Brum as well as bringing the community together. As an Irish pub proud of its heritage, its only right we join in on the celebrations! From Thursday, March 14th until Sunday, March 17th we have a whole host of celebrations planned for everyone. From trips to the races, live sports, open mic nights and of course live music! On Thursday, March 14th we’ll be taking a trip to the St. Patrick’s Day Races in Cheltenham. The day is filled with live music, shopping, food and drink and the famous Guinness Village as well as of course horse racing! We’ve planned a coach trip to take racing punters there and back on the day, giving everyone a chance to enjoy the Guinness village, shopping areas and of course the races. We’re then starting the evening celebrations off with our popular Open Mic Night that everyone is welcome to join. We’ve seen so many people step up to the mic, all from different musical backgrounds and genres. We love seeing all kinds of musical talent step up and want to give people a platform to perform! No matter your level or musical style you can join, and we even have house guitars available to borrow for the evening. D.J. Quinn’s is the home of live sport for Friday and Saturday. Catch the Cheltenham Gold Cup live on the big screens on Friday, March 15th, then the Six Nations Rugby on Saturday, March 16th at with Wales V Ireland at 2:45pm and then England V Scotland at 5pm. 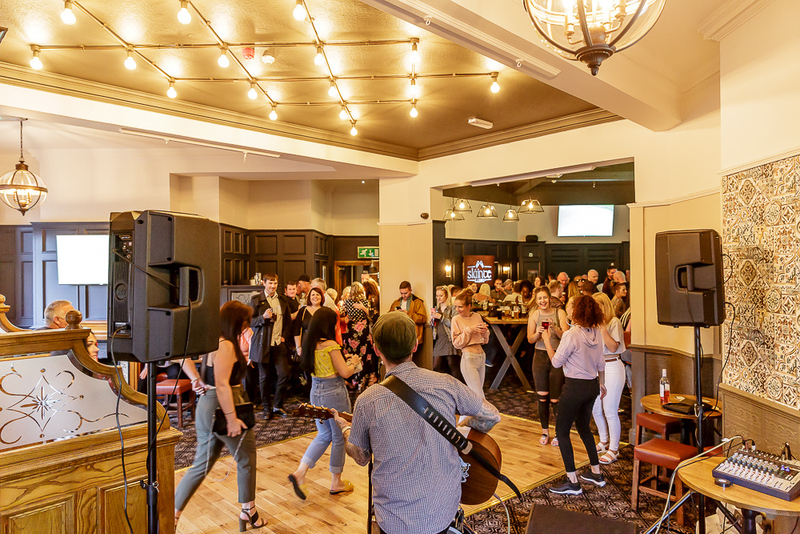 After the sports the festivities continue with live music from James Reidy on the Friday and Hotwired on the Saturday to end both evenings, catch them performing from 8:30pm ’til late! After the parade has finished its march through Birmingham, D.J. Quinn’s will be hosting an all-day St. Patrick’s Day Party with hot stew and live music from Slibhin from 5pm, as well as showing the day’s football, rugby and Gaelic sports. The best thing about all four days of celebrations? It’s all absolutely free. Let us know you’re coming to celebrate on the official Facebook event! 10 Days of live music and festivities this Christmas!